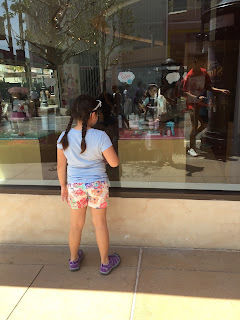 with the bean officially done with school for the year and a full week of nothing to do (aside from her extracurriculars) before summer school starts, we've been trying to find fun things to keep us all occupied and out of the house. and so we found ourselves heading out west to visit a place we hadn't been to in awhile - the grove. 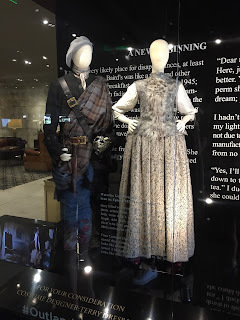 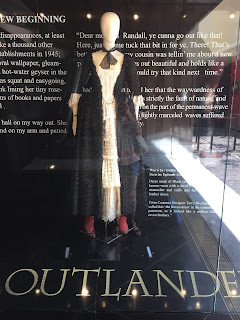 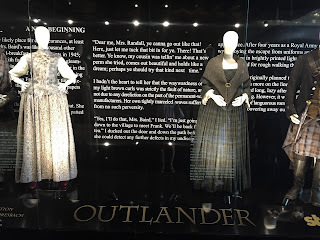 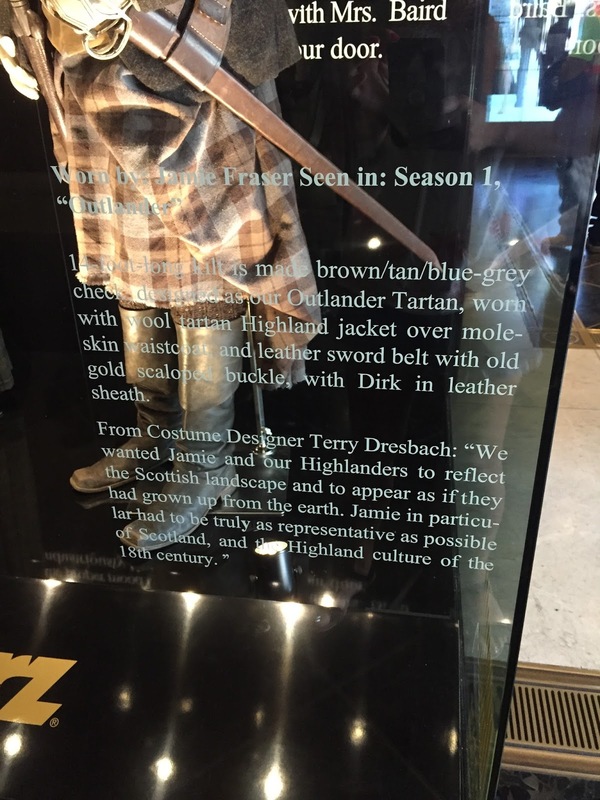 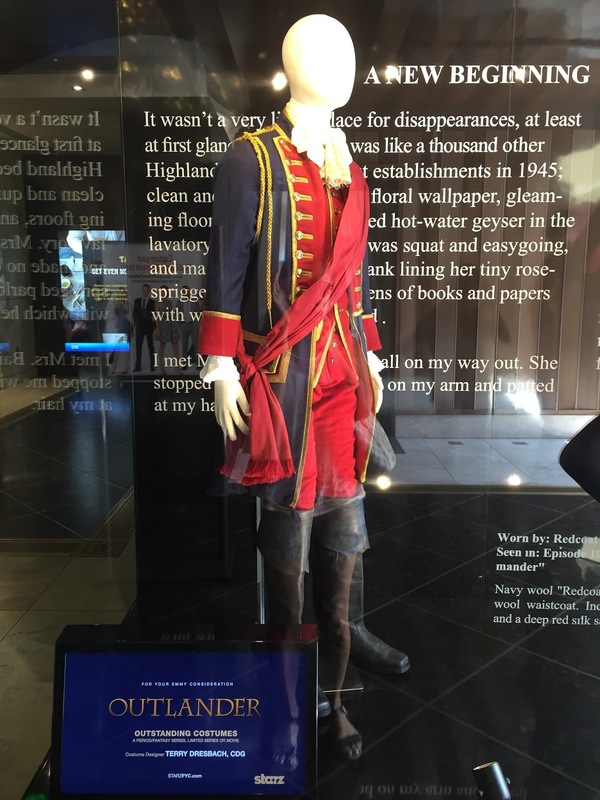 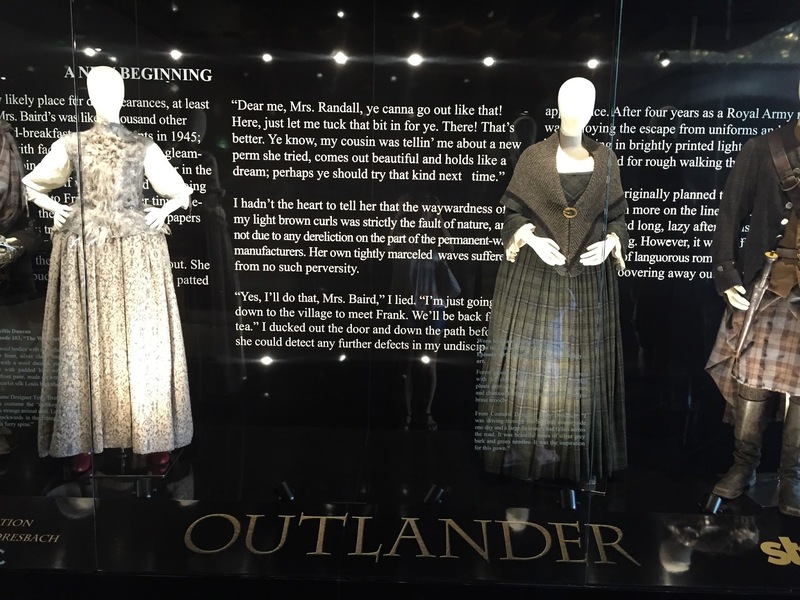 when we stepped out of the elevator in the parking structure, we found something that i'd read about on twitter - an exhibit of original costumes that were used in the first season of "outlander." i figured this was the closest i'd ever get to jamie fraser. 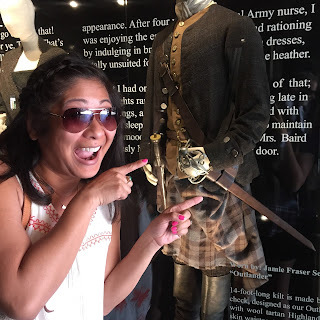 if you don't watch "outlander," you really should. although i suppose it helps if you've already read the series, because it's kind of a crazy story. 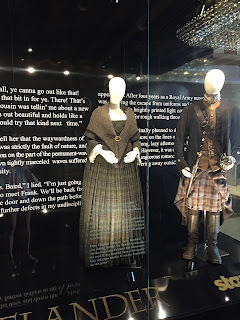 there's romance, danger, suspense, history, time travel..."outlander" has it all. 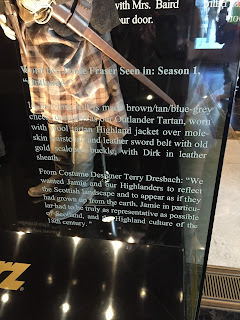 i've had the last four or five episodes sitting on my dvr unwatched, because i'm trying to stretch them out a bit since it'll be awhile since the second season starts. 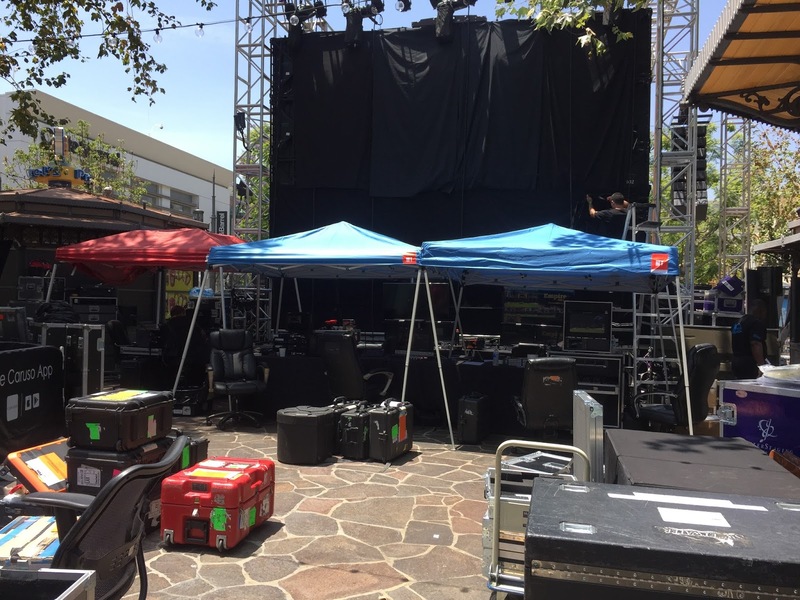 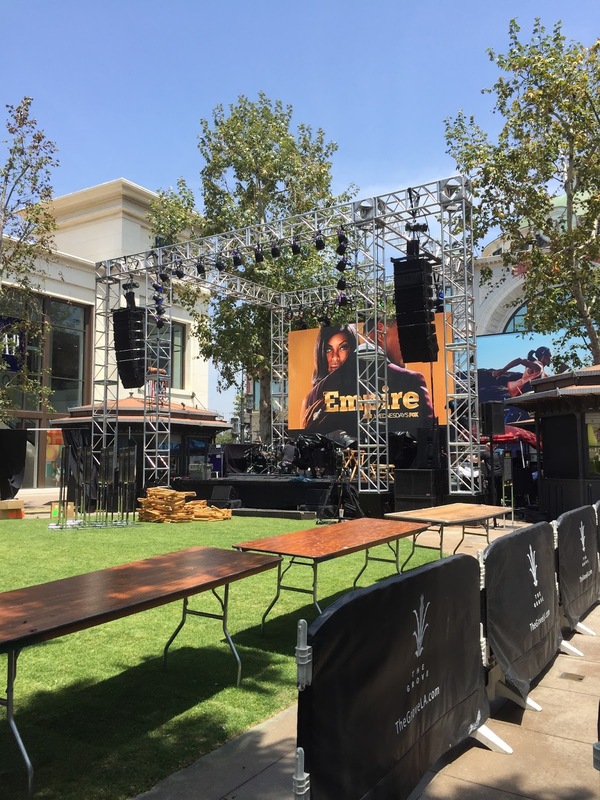 as we made our way around towards nordstrom, we came upon crews setting up on the lawn area for what looked like a concert, maybe? something to do with the tv show "empire." turns out there was a screening scheduled later that afternoon, with the entire cast present for a Q&A session and a performance. at nordstrom, the old lady and i did a little wishful browsing. 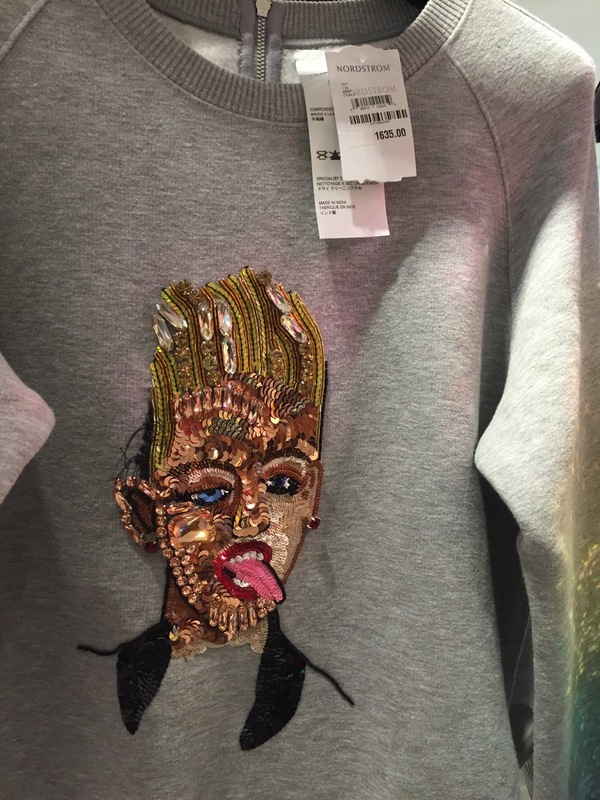 and then we cracked up at this $1600+ sweatshirt featuring miley cyrus done up in sequins. 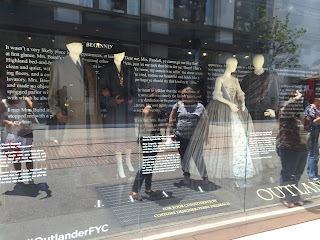 heading out of the store and towards the farmers market for some lunch, we found more "outlander" displays. look, it's like i was at jamie and claire's wedding! 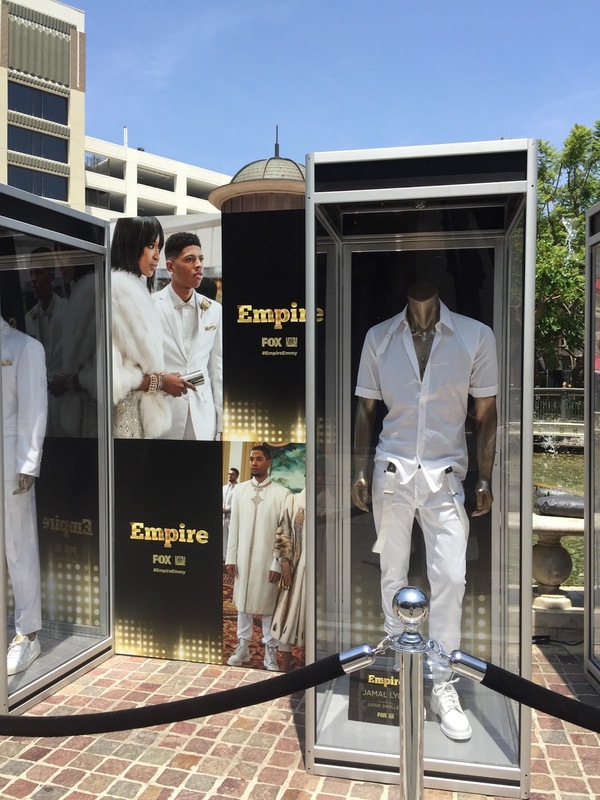 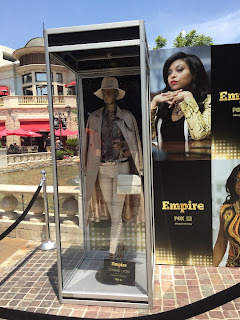 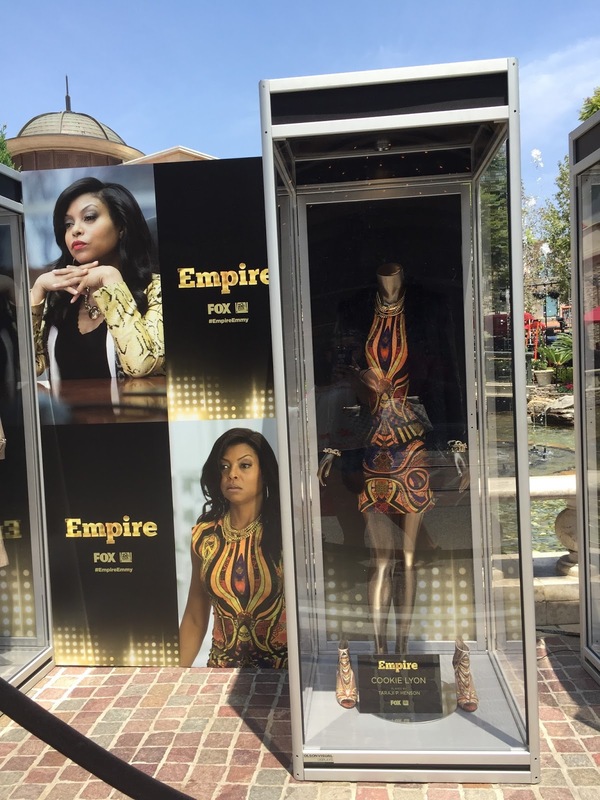 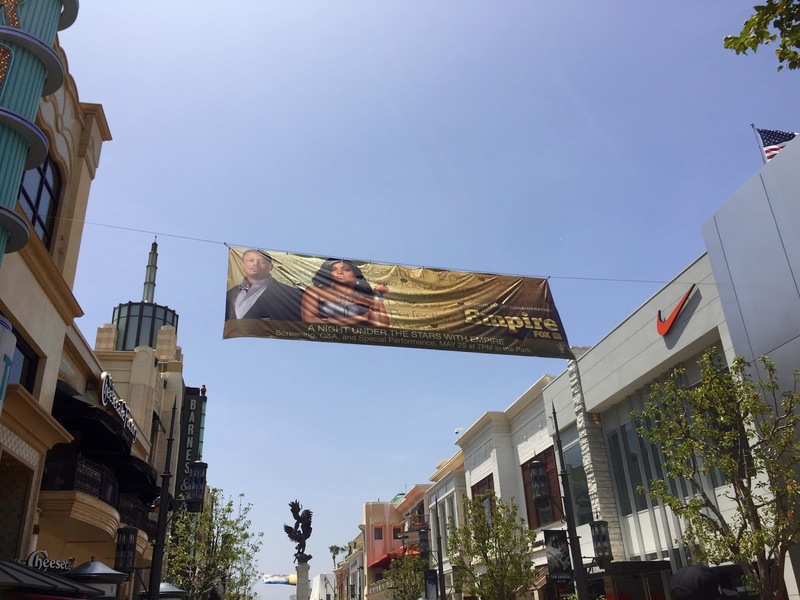 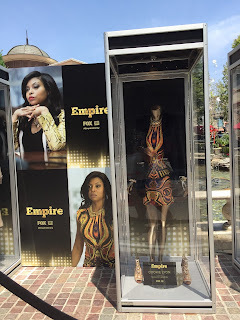 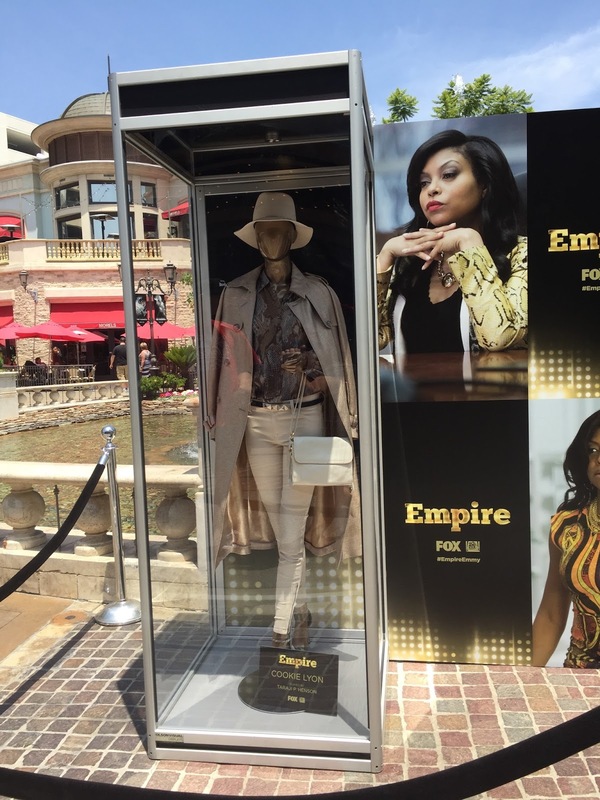 just beyond that was a display of costumes from "empire." 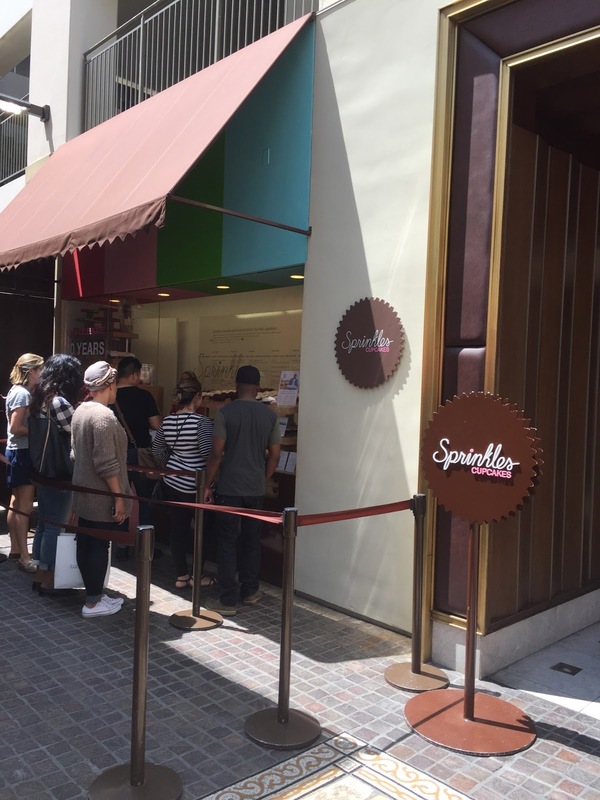 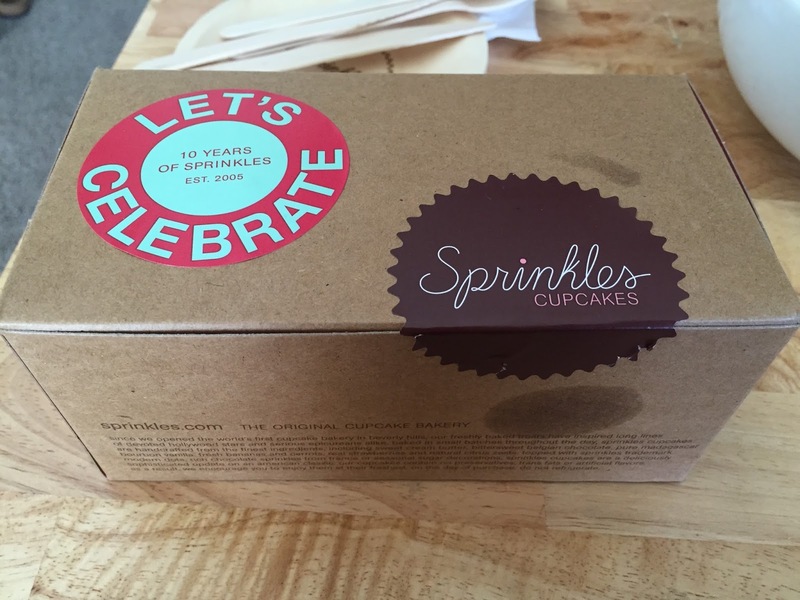 while i gazed wistfully at the spread of apple watches. 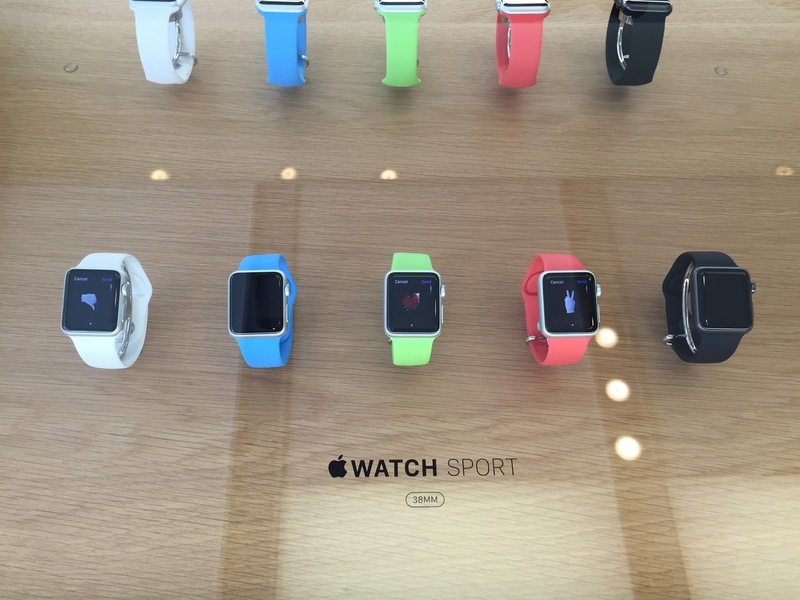 i like the black one, just so you know. 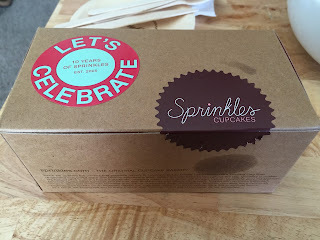 the bean conked out hard in the car on the way home. so much so that she ended up missing her hula class. oh, well. there's always next week. 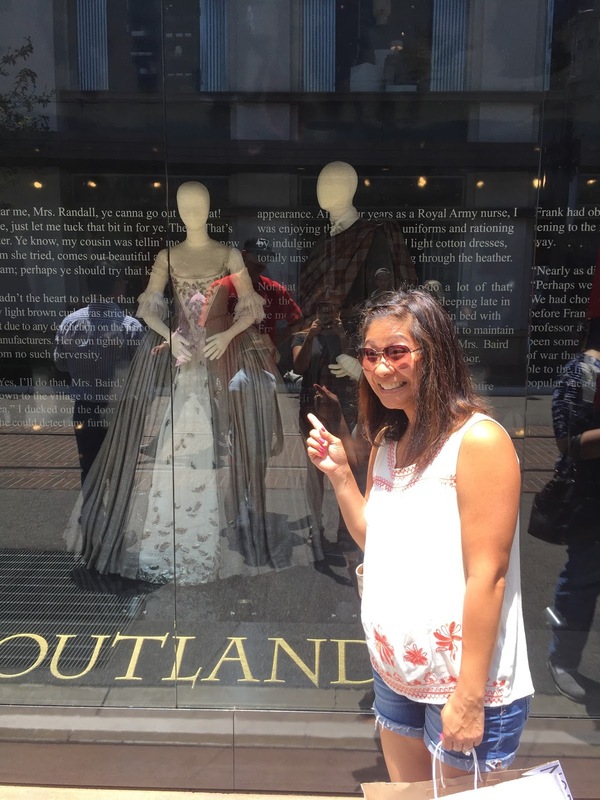 She did a little hula for NB and me last Saturday night! 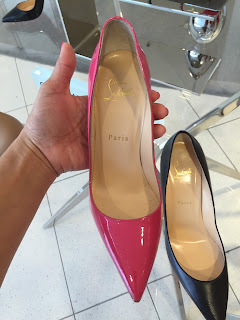 Cute as always!